The second month of summer has officially started. This means that it’s high time to take a look at the top-selling website templates that saw the light of day in June. 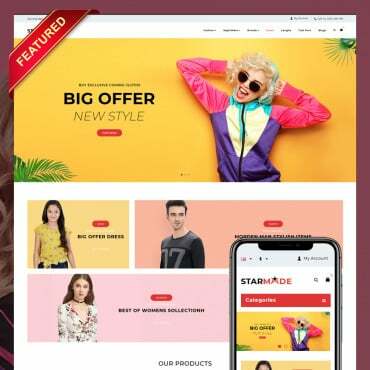 In the showcase below, I offer for your consideration 18 top-selling website templates from Templates.com. What CMS do you prefer building a site with? Are you a big fan of WordPress or would you prefer MotoCMS with its intuitive visual editor? No matter what your answer is, below you can find a theme that will please your taste. 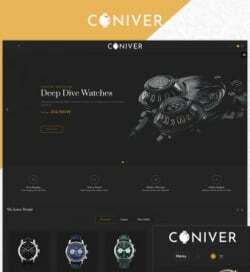 This a selection of themes that were released in June, but have already managed to gain a great demand among the web design fans. Enough said. Let’s get to the compilation of Templates.com June bestsellers! BeDentist is a responsive dentist WordPress theme licensed under GPL v3.0. It is built with Power, custom drag-and-drop page builder. The latter allows the users with little to no coding skills create versatile layouts. More than 25 modules are also available. So, you can enjoy the speed and ease of the theme’s customization on your own. The theme runs on Cherry Framework 4. The latter makes it super quick and intuitive in management. Enhanced with drag-and-drop content, it is intended to be tweaked by both beginners and professionals equally well. MotoPress Content Editor and MotoSlider are the two premium plugins. However, all theme owners can use them for free. 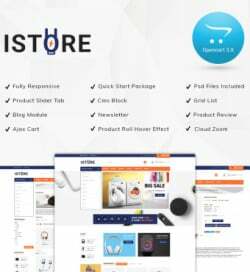 Here is a ready-made solution for eCommerce sites. The theme features a clean and intuitive layout, providing for a more pleasant browsing experience. 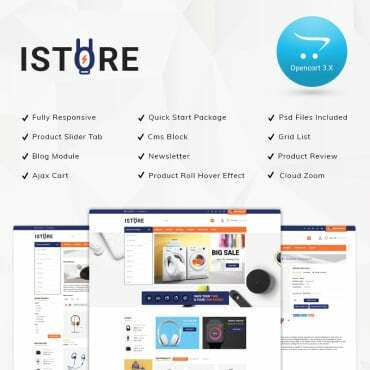 In addition to fully featured online store functionality, the template is also integrated with a blog. Social sharing options are provided as well. The theme is best suited for a personal blog or portfolio site. Enhanced with MotoPress Content Editor, it allows you to create unique page layouts without touching a line of code. In addition to a standard set of features, the theme includes Google Analytics integration, Google Webmaster Tools, Global Website Settings, Optimized source code, and more. 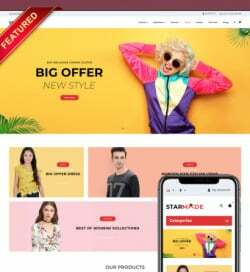 eCommerce web projects looking for a powerful theme to power up their site’s frontend and backend should take a closer look at this theme. 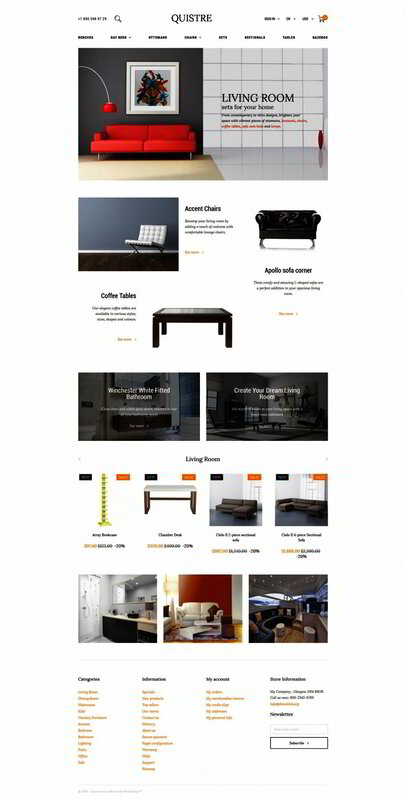 Intended for interior and furniture stores, it will work well for content heavy web resources. The theme features lazy load effect. The latter ensures that all data will be properly loaded across a variety of devices. 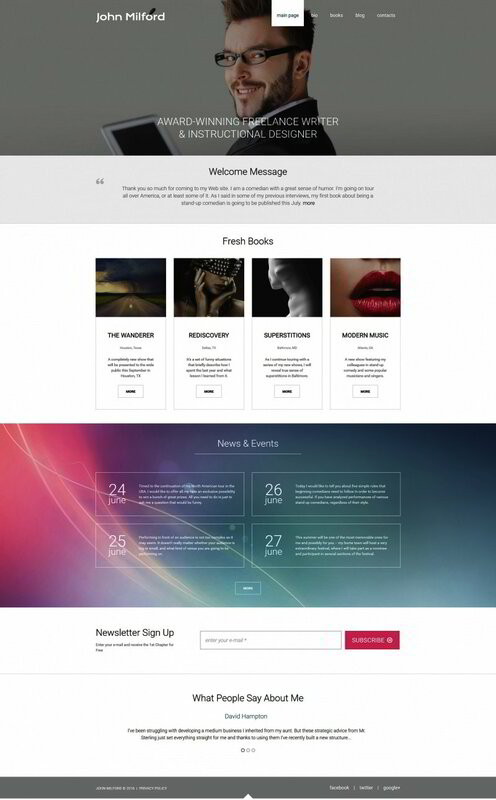 Customized modules and custom page templates are also included into the theme’s pack. The theme runs on a responsive framework, ensuring top-notch performance of your site across all desktop and handheld devices. A stick-to-top drop-down menu provides for a more intuitive and user-friendly navigation on the site. The theme is best suited for interior and exterior design blogs and sites. However, a pack of smart customization options and intuitive admin panel allow you to tweak it in a variety of ways. This is one more theme enhanced with an intuitive visual editor. Best suited for medical and healthcare related sites, it features a clean layout. The theme is 100% responsive. A number of customizable presets are available, letting you customize color, size, style, background or any other element of your site’s widgets. The theme is designed with the focus on details. All elements of its layout are hand-picked to present your store’s offerings in the most favorable light. Being well-documented, the theme is pre-loaded with customizable modules. The latter are intended to enhance your site’s visual appeal and diversify its layout with user-friendly elements. The theme is intended for food and drink related sites. It features a grid-based content positioning, letting you share loads of content in a well-balanced manner. The front page looks spacious. Here you can find the key information about a company, check out its services and products, see contact details, and locate a business on the integrated Google map. Here is a ready-made solution for sites selling vehicles. It is integrated with an advanced search panel, which lets the users look for the right cars based on its make, body type, and other criteria. The theme features a sticky drop-down menu with social media options and easy-to-reach contact details. Featured cars are listed on the theme’s front page. Their specifications are listed in an easy-to-navigate manner. Calm and relaxing atmosphere of this theme will be a perfect fit for spa and massage parlors. The layout is enhanced with edge-to-edge parallax scrolling images, which add a feeling of depth to the theme. Neat ghost blocks make up a perfect harmony with the rest of the design elements. The theme is pre-loaded with niche-specific icons, guiding the users through your site’s content effortlessly. Google map widget is placed in the theme’s footer. Everyone looking for a professionally built business landing page template, take a closer look at this design. Featuring a clear and concise layout, it makes the users concentrated on your content. Images and written data make up a perfect balance on the page. Thus, people can enjoy the read and quality images at the same time. The theme looks really appetizing. The layout is abundant in quality images demonstrating the dishes on the menu. Parallax scrolling backgrounds add a feeling of depth to the theme, letting the users get immersed into the atmosphere of your establishment. Handwritten fonts make the theme more personalized. Cool hover effect adds more interactivity to the layout. Powerful navigation of this template lets even first-time visitors to your site come across the necessary content in a blink of an eye. The layout is built in neutral, easy-on-the-eyes colors. The users will not get distracted by the heavy design elements. The well-balanced content positioning and clear content hierarchy provide for better readability of the theme. The theme will work well for medical and healthcare sites. The responsive layout featuring parallax scrolling effect adds a more captivating online presentation to your business. Neutral blue color scheme is suited for a number of other purposes as well. 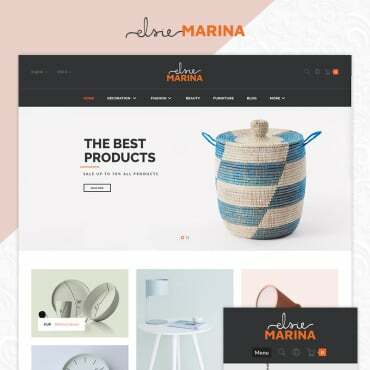 Retina-ready photos of the theme will enhance your site’s visual appeal on the last-generation devices. Here is one more cool theme for cafe and restaurant sites on this list. 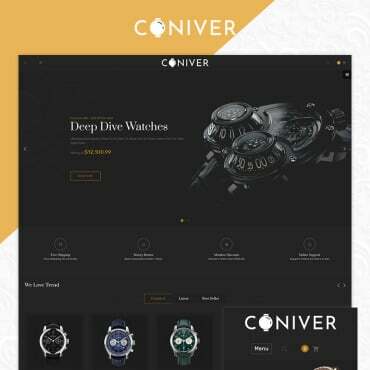 The responsive layout is integrated with a captivating header slider. Contact details right below it welcome the users to make a quick reservation. The front page has enough space to share your menu, user testimonials and Google map widget. 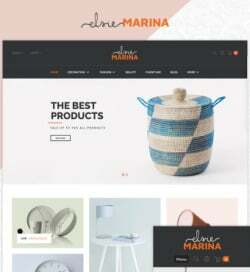 The theme will appeal to the true fans of material style in web design. The layout is creative and straightforward, which makes it a perfect fit for online portfolios, CVs, and personal sites. Integrated with an intuitive visual editor, the theme is easy to manage. Thanks to the multi-language support, your site will sound amazing in foreign languages. This is the last, but not the least theme on this chart of the June bestsellers. Best suited for sport, travel and adventure sites, it uses a split screen technique. The latter lets you share loads of data in an easy-to-browse manner. Images and written texts harmonize with one other. A sticky Mega Menu provides adventure-goers with quick access to the rest of your site’s content.